Millions of Americans consider themselves healthy and active. They go on morning runs, lift weights, and make regular trips to the gym. Many of these Americans know what it takes to keep their bones and muscles as health as possible. They often have hydration, stretching, and cool down regimens to this effect. Pains and conditions that come up are treated with stretching and potentially medication. But not as many people think about the tissues that bind their muscles and bones together. These tissues need to be treated carefully in the same way that individuals treat the other parts of their body when they are working out. Foam rollers are essential to help with this process. They can also help with lower back pain developed either during workouts or in the normal course of one’s day. The purpose of a foam roller is to release and relax the fascia throughout the body. Fascia is a term for the connective tissues and ligaments that help muscles function properly. These parts of the body can be just as important as muscles in some instances and can wear down like muscles do. The processes that wear down the body are particularly strong in the lower back area. Back muscles are some of the most sensitive in the body. They have to hold up the entire upper half of the body to a certain degree along with a number of organs. As a result, the fascia in these areas is most susceptible to strain. Weakened or strained fascia can result in a considerable amount of lower back pain. Most common forms of working out and stretching only put stress on these parts of the body. Foam rollers are meant to help relieve tension held in these tissues and heal lower back pain. A foam roller is a stiff foam log that is often present at gyms or sold at sporting goods stores. The body rolling up against these foam logs helps to loosen the knots and taught sections of fascia throughout the targeted muscle groups. Long, lean stretches of these connective tissues in theory are healthier and have a reduced chance of leading to pain or sprains. The best use of a foam roller is as part of any stretching routine. Many individuals have a routine where they stretch numerous parts of their body both before and after working out. A foam roller can be used to stretch out numerous parts of the body that are used during the workout. An individual simply places pressure down and rolls their lower back against the roller while it is on the ground. Another common use is simply to heal lower back pain. Individuals roll at the area of their lower back pain on a regular basis and at the same time every day. They may then be more limber afterwards and have a more elastic lower back area. Even for individuals who are only using the foam roller for pain, stretching may be helpful in reducing overall lower back pain. 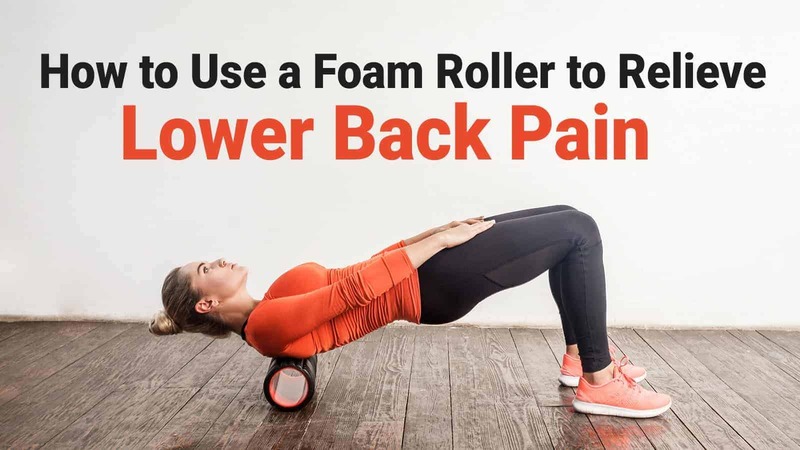 There are few limitations to the usage of foam rollers. They can be used for several forms of stretching and at several points in a workout. These tools cannot be used for strength training or cardio workouts. They will not make an individual lift more weight by themselves and will not magically make their backs better for lifting. The foam roller is also not a substitute for other forms of stretching. Individuals should stretch their lower back muscles both before and after working out and should focus on all of the areas that may be injured at one point or another. Instead, foam rollers will help flexibility and endurance for the workouts that an individual will engage in. Lower back pain is considered a part of life by many people. People may be energetic or sedentary and still have to suffer with this problem. However, a simple foam roller can at least help an individual manage his or her pain. Proper technique and regular use are essential to making sure the roller works. But with this combination, individuals can ensure that they will be as limber and pain-free as they can be through a form of exercise.